This year the Big Beers, Belgians and Barleywines Festival turns 16, and it will mark the occasion with its tried-and-true mixture of beer seminars, beer dinners and its flagship commercial beer tasting. Last year’s participating breweries included Great Divide Brewing Co., Barrel of Monks Brewing Co., Odell Brewing Co. and Trinity Brewing Co., all of which poured a hefty array of beers that all clock in over 7%. Tickets are $75 and include the beer tasting and most seminars. 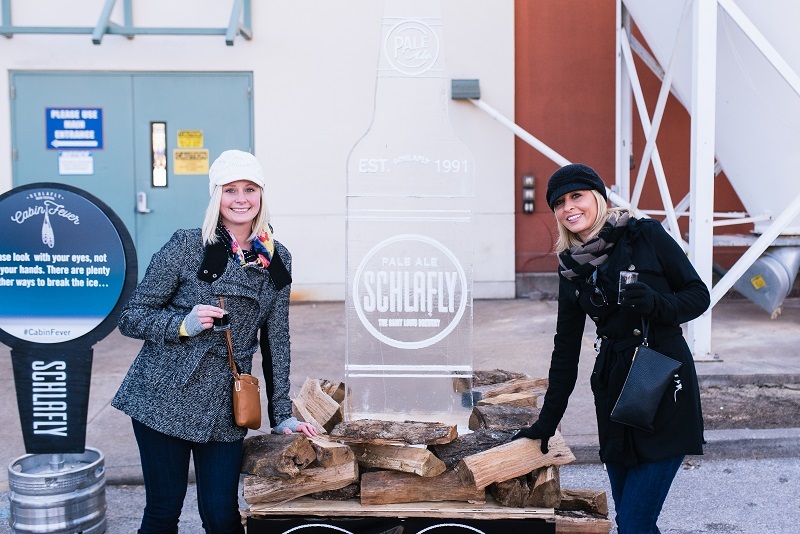 Schlafly Beer plays host to this winter beer festival, which features fire pits, ice sculptures, live music, a beer luge and more. Over 30 Schlafly beers, both seasonal and year-round, will be on tap, and admission ($30 in advance, $35 at event) gets guests unlimited tastings and a commemorative glass. Chili, brats and other food items will be available for purchase. The Lincoln Square Ravenswood Chamber of Commerce organizes this event, which showcases local Chicago brewers in the ballroom and skyline lounge of the Dank Haus German American Cultural Center and features over 20 beers on tap. Past participants have included 5 Rabbit Cervecería, Finch’s Beer Co., Begyle Brewing Co. and Metropolitan Brewing. Incorporating peaches sourced from Huber’s Orchard in Starlight, Indiana, this fruited sour beer emerges from barrel-aging with dry, stone fruit-flecked tartness, crisp effervescence and floral and winelike characteristics. Peach will be available in 750 mL bottles and on draft. German Chocolate Cake is a new, velvety and rich addition to Penn Brewery’s lineup that will make its appearance in January. It is made with Betsy Ann chocolate, lactose, oats and coconut, and will be available on draft. Rogue fans have long blended Rogue’s Chocolate Stout and Hazelnut Brown Nectar for a Nutella-inspired treat. This is the production iteration of that blend (60 percent Hazelnut Brown Nectar, 40 percent Chocolate Stout), a decadent beer redolent of nutty chocolate candy bars and truffles. Hazelutely Choctabulous will be available in 22-ounce bottles and on draft. 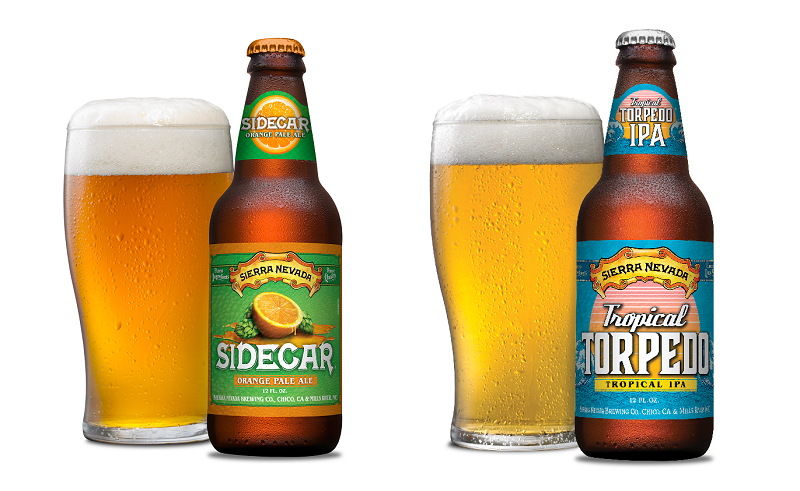 Sierra Nevada Brewing Co. will ring in 2017 with two new beers. The first, Sidecar, provides a new take on the brewery’s go-to classic style—the American pale ale—by adding orange peel to accentuate a citrusy hop profile. The other beer, Tropical Torpedo, will be a dry-hopped IPA brewed using the brewery’s signature Torpedo dry-hopping device and a hop profile that calls to mind flavors such as mango, papaya and passion fruit. Both will be available Jan. 1. Ten Great Session Bars in the U.S.